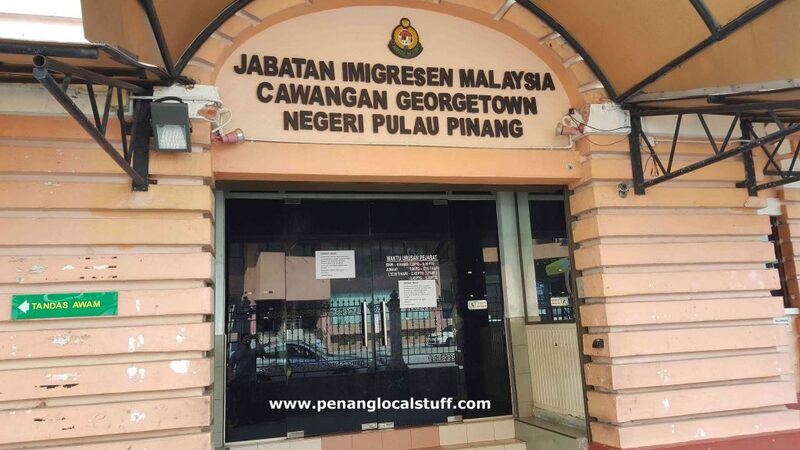 I recently applied for a Malaysian Passport for my daughter at the Penang Immigration Department in Georgetown, Penang. I was there on Friday, 24 August 2018, and the place was very crowded. To apply for a Malaysian Passport for children, you will need to bring both the original and photostated copies of the children’s birth certificate, the children’s identity card (MyKid), and the identity card of one of the parents. Photographs are not needed, as the children’s picture will be taken on the spot. With all the required documents in place, the first step is to get a queue number at the front counter near the entrance. The officer at the front counter will check that you have all the required documents before giving you a queue number. After that, it is likely that you will have to wait for some time, as there are usually many people waiting to apply for a passport. When your queue number is called, go to the stated counter. The officer at the counter will fill up a simple form. The parent is required to sign and place a thumbprint on the form. The children will also need to place his/her thumbprint on the form. The picture of the children will also be taken at the counter during this time. Once these are all completed, you will be requested to wait for the applicant’s name to be called, to pay the passport fee. For children, the passport fee is RM100. 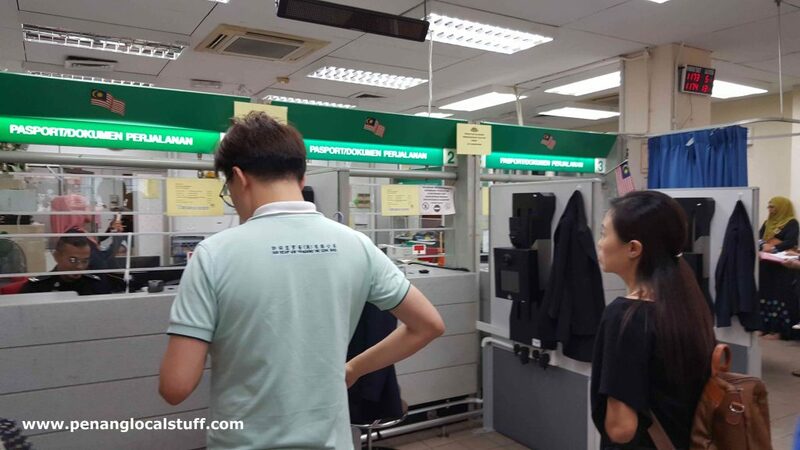 After making the passport fee payment, you will be asked to go back to the front counter, where you will be given the time to pick up the passport. At the designated time, go to the front counter again, and you will be given a queue number slip. 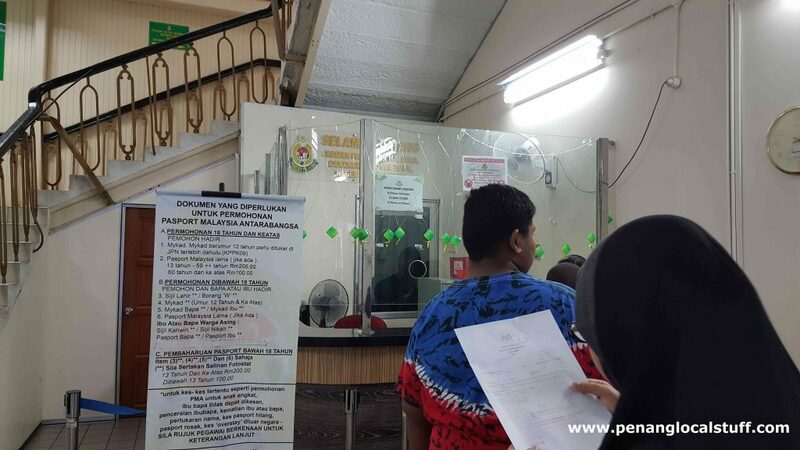 Place the queue number slip at the Passport Collection Counter (Kaunter Penyerahan Passport), and wait for your turn. When your queue number is called, go to the Passport Collection Counter. The children will have to sign, or place his/her thumbprint on the passport. And, you are done! 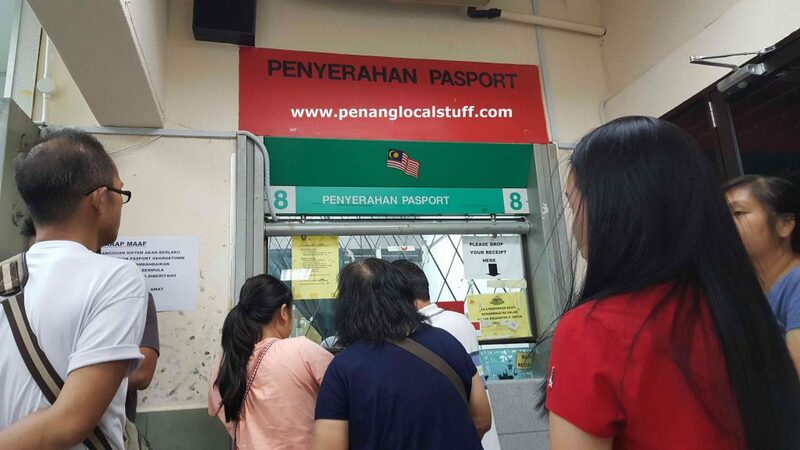 Based on my recent experience applying for a Malaysian Passport for my daughter, you should allocate the entire day for the process, because there are usually many people at the Penang Immigration Department.